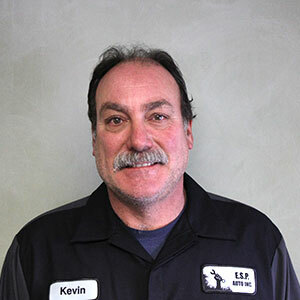 ESP Auto Inc., Meet our Team: Kevin Hayes | ESP Auto Inc. I worked at Northampton Street garage for Eddie Plaza for 16 years until he passed away. I am also a former advisory board member at Smith Vocational Automotive department, having served for 15 years. I handle internal engine repair including timing belts, timing chains and head gaskets. I also manage general repair and service. I like to go hunting and fishing, and am keen on farming and gardening. I also love to spend quality time with my family.